I am all about superhero movies. Both Marvel and DC have done an amazing job re telling the stories through a cinematic experience. If you don’t know the story of Hulk, Dr. Bruce Banner (played by Mark Ruffalo in recent movies) is exposed to heavy doses of gamma radiation. Whenever he gets angry or scared (his adrenaline shoots up) he becomes Hulk. A large muscular green “monster.” He usually blacks out during these episodes and has no control over his behavior. Since Dr. Banner is a scientist he has decided to figure out how to use his powers for good. (This part is fiction made up by me haha). He has invented a pre-workout supplement that when consumed and mixed with your adrenaline from working out, you can power through workouts at a higher level than ever before. 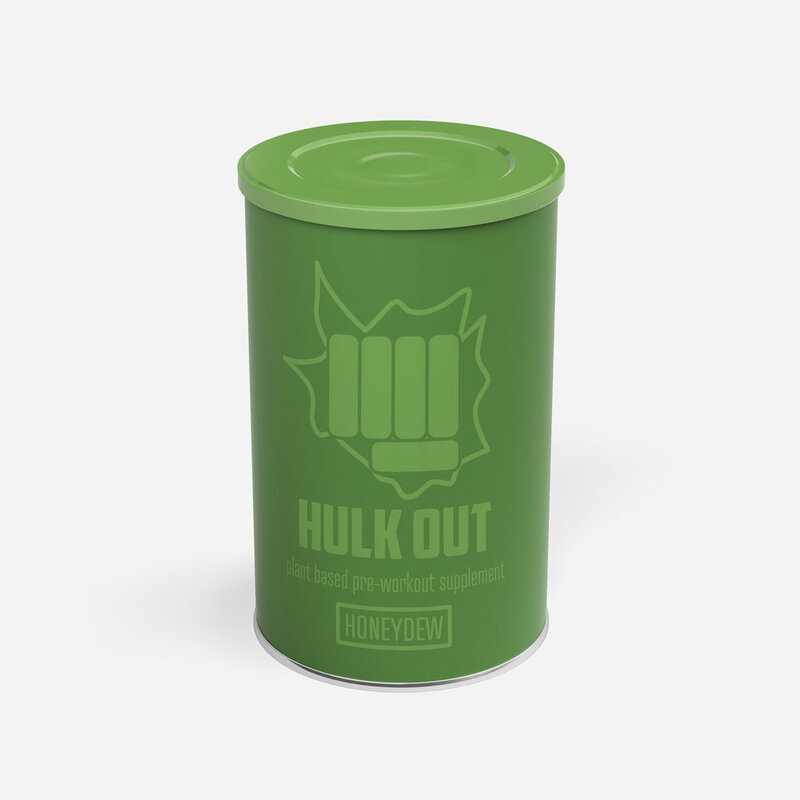 I present to you Hulk Out — a plant based pre-workout supplement that helps you achieve your greatest workout. As you’ve heard me say a million times, the best logos are simple, scalable, and impactful. This logo is all of the above. It shows a fist which represents power and strength. It’s green for Hulk’s roots, and it’s made of a few shapes which makes it really easy to remember. Obviously, I was going to make this brand green. 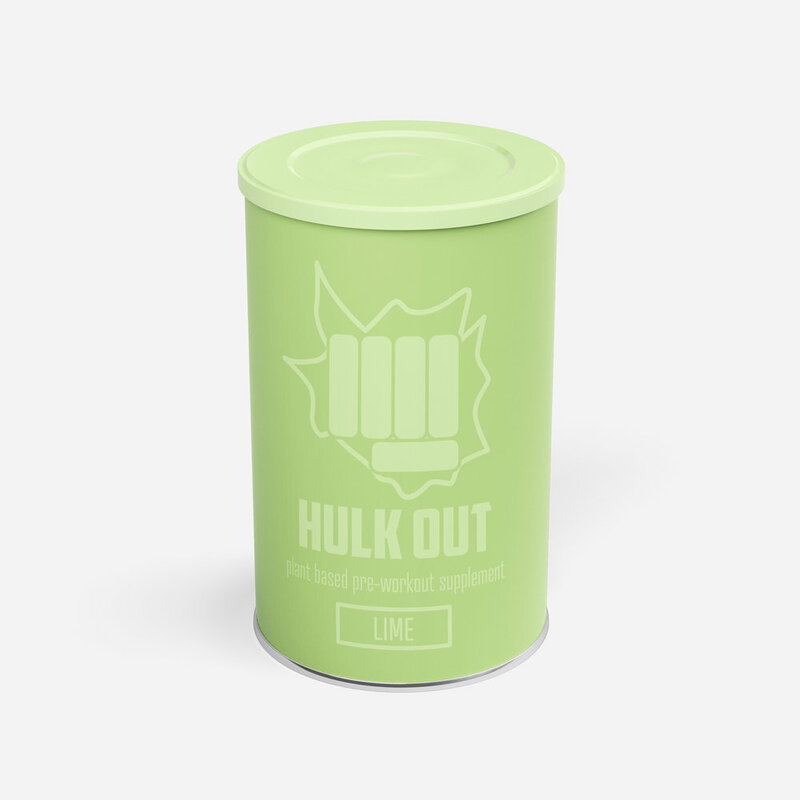 Aside from the Hulk himself being green, the color has meaning that directly relates to this product. Green can be associated with energy, stability, and endurance. Perfect for a pre-workout supplement. I paired the green with a purple because it is a complementary color. Complementary colors are colors that when mixed together they create white or black. They also have the greatest contrast to one another. With type, I wanted the main logo font to be bold and strong to match the brand message. 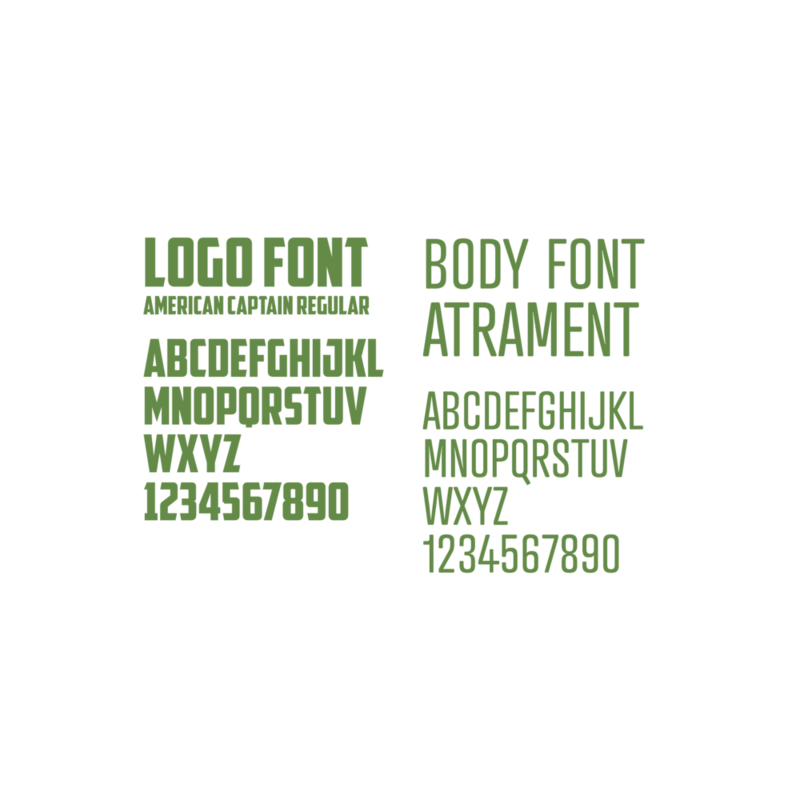 For the secondary font, I still wanted a strong font, but thinner than the main type. It’s all about the contrast to create visual interest for the viewer. As you all know, I love simplicity. Anytime I buy a new product at the store, I look at the packaging. If it’s clean and easy to understand, that’s going in my cart. I wanted to apply that to this product. A variation of the logo where the fist is busting through with the bold fonts and minimal words. This packaging has the product name, what it is (plant based pre-workout supplement), and the flavor. I have also been experimenting with using one color throughout a design but using different shades for the contrast. Would you buy Hulk Out? 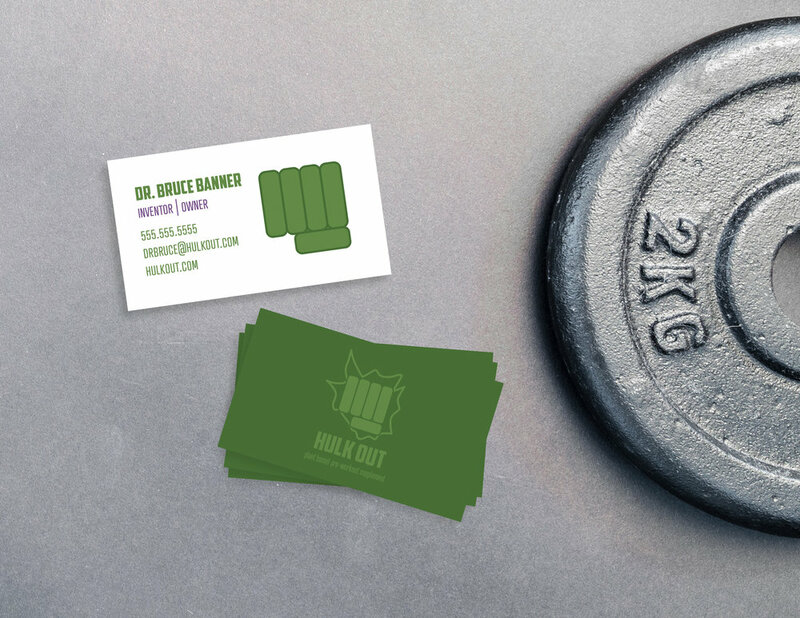 What do you think of Dr. Bruce Banner’s new business? I would love to hear your thoughts! You can comment below or feel free to reach out directly.